ST MARYS — David Weimer, age 99, died on Tuesday, January 8, 2019 at his residence in St. Marys. He was born in Marion, IN, to the late Earle E. Weimer and Cleo (Troutman) Weimer. On November 4, 1944, David married Jane Utterback of Frankfort, KY, and she preceded him in death on July 26, 2012. He and his beloved Janie were married for nearly 68 years. David graduated from Grandview High School in Columbus in 1937. He went on to receive a BS, with major in physics, from The Ohio State University in 1941. He did further graduate work at Princeton University, Lehigh University, Colorado School of Mines, the University of Cincinnati. He began his career as a physicist with the Defense Department during World War II, researching shock waves created by nuclear and conventional explosions. After the war, he and Jane were called to be teaching missionaries at the American College, Madurai, India, in 1946-47. On returning to the States, he held various research positions at Armour Research Foundation, the Illinois Institute of Technology, and Lockheed Martin. In 1964, he joined the faculty at Ohio Northern University, as a professor of physics and enjoyed his long career teaching future scientists. He retired in 1990, after 35 years. After retirement, Dave and Jane served as United Methodist Volunteers in Mission in several missions, including Sue Bennett College and Henderson Settlement, in Kentucky, and the Scarritt-Bennett Center, Nashville, Tennessee. Dave was a life-long learner, interested in many subjects, and, with Jane, he was an avid traveler. Together they traveled throughout the US and to many corners of world, touching all continents except Australia, but especially enjoyed several trips to England and their many cruises to various European and Caribbean ports. He loved to tinker with electronic gadgets of all kinds. He was fascinated by airplanes and air flight from a very young age and held a private pilot’s license for many years. He was active in many university activities during his tenure at ONU and during his long membership in Ada United Methodist Church. He was a person of few words, but with strong convictions, a gentle nature, and quiet good cheer. He will be much missed by his family and his many friends, both in the Otterbein St Mary’s community, where he lived in recent years, and those around the world. He is survived by his children: Carole Miller (Russell) of Westlake; Holly Geiger (Eric) of League City, Texas; Kirk Lee Weimer (Judy) of Green Valley, Arizona; and Paul Christian Weimer of Evansville, Indiana (Greg Jones, partner). Also by grandchildren: Russell David Miller, Bryan Patrick Miller, Aaron Michael Weimer, David Allen Geiger, and Julie Beth-Geiger Liles; step-grandchildren, Stasia Vinnedge and Kattie Roush; great-grandchildren, Ella Jane Miller, Ruby Miller, Lealynn Miller, and Madeline and Tabitha Roush. He was preceded in death a sister, Rosemary Weimer. 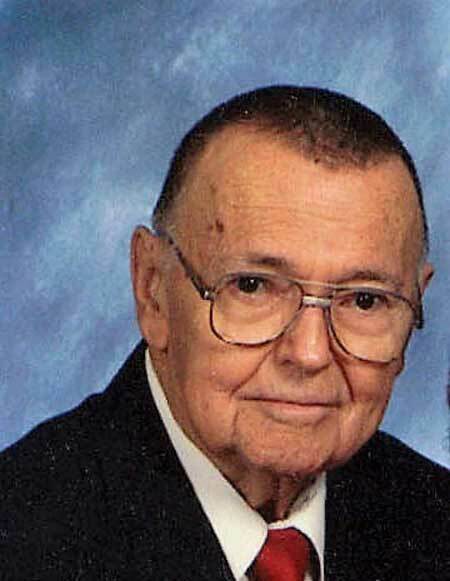 Memorial services will be held at 11 a.m. on Friday, January 18, 2019 at the First United Methodist Church of Ada with Rev. Brandi Rigsby officiating. A private family inurnment will take place at a later date in Woodlawn Cemetery, Ada. Friends may call one hour prior to the service from 10 to 11 a.m. on Friday, January 18, 2019 at the First United Methodist Church of Ada.